The Madison Family Medicine Residency Program is committed to the personal and professional growth of each of its residents. That growth is fostered by a dynamic curriculum and nurtured by a supportive community of residents, faculty, and staff. Our curriculum offers robust experiences in obstetrics, critical care medicine, and pediatrics, as well as numerous electives. Diverse continuity clinics provide residents with a dedicated patient panel for three full years. 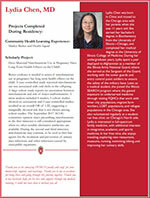 Two residents per year are selected to participate in the Rural Health Equity Track. 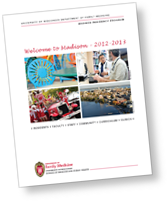 We invite you to browse our website to learn more about our program, our people, and our exciting and beautiful city, or download our Welcome to the Madison Family Medicine Residency Program Booklet (5.0Mb). 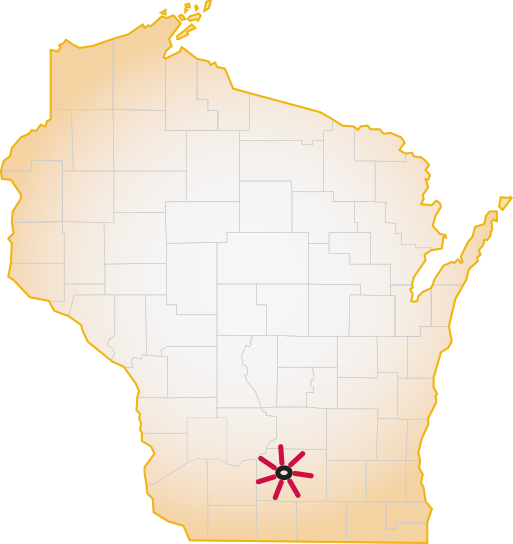 Part of what makes the Madison Family Medicine Residency Program who we are is our strong connection to the community we live in. The 2018 Senior Book showcases scholarly and community medicine projects from our most recent graduating class.